The PCM-WW is designed as a universal prototyping card for user application-specific circuitry. It allows PC/104 users to construct experimental and custom I/O interfaces with a minimum of effort. 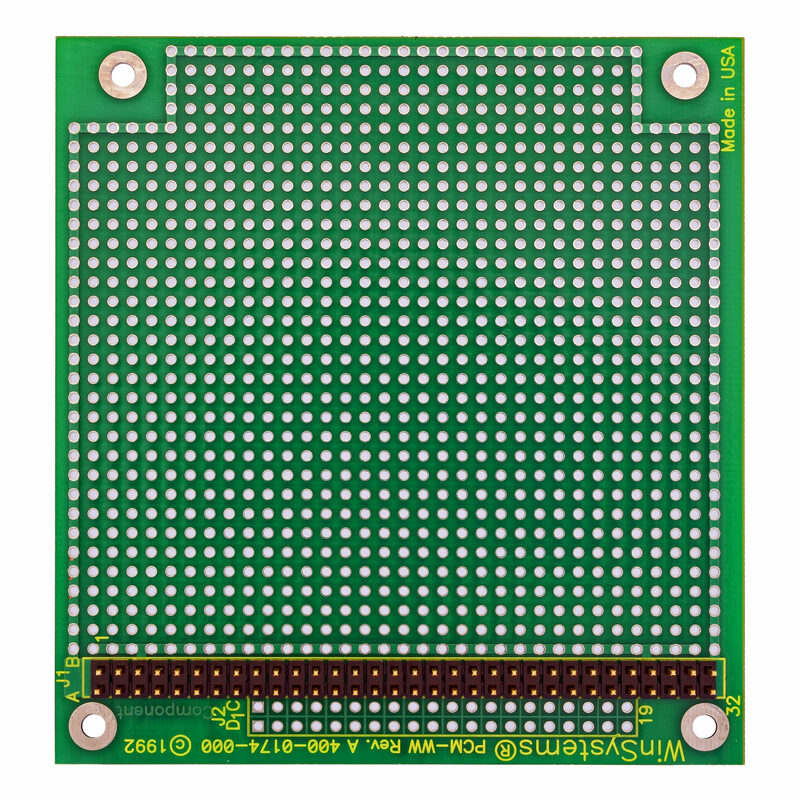 A 0.100 inch grid is provided for the breadboard area that accepts standard DIP sockets, connectors, press-fit pins and discrete logic circuitry.